This pattern did my head in. But it wasn’t the patterns fault, it was my own insistence on total perfection combined with having no idea what I was doing which resulted in me unpicking and resewing seams more times than I would like to admit. Attempt 1: Using cheap acetate lining – I have metres of this stuff that I bought when I had only just started to line everything I made and before I realised just how horrid this stuff is to sew and also to wear, ugh. I have since been converted to how amazing real cotton or silk feels as a lining fabric and can’t imagine myself using acetate ever again. Attempt 2: Using some quilting cotton scraps I had in my stash. Then I realised it was too bulky, stiff and thick for pocket lining. I lazily serged the edges in black thread and then could see the serged seam outline on the outside of the pants, plus the black blah on the inside was just WRONG. This was when I also decided the big dinner plate shape was not for me as I don’t put anything in front pockets except for maybe a tissue or a scrap of paper/shopping list – my hips dont need any more bulges. Attempt 3: Some lovely japanese cotton SCORED from Spotlight for $3 for 1.3 metres. 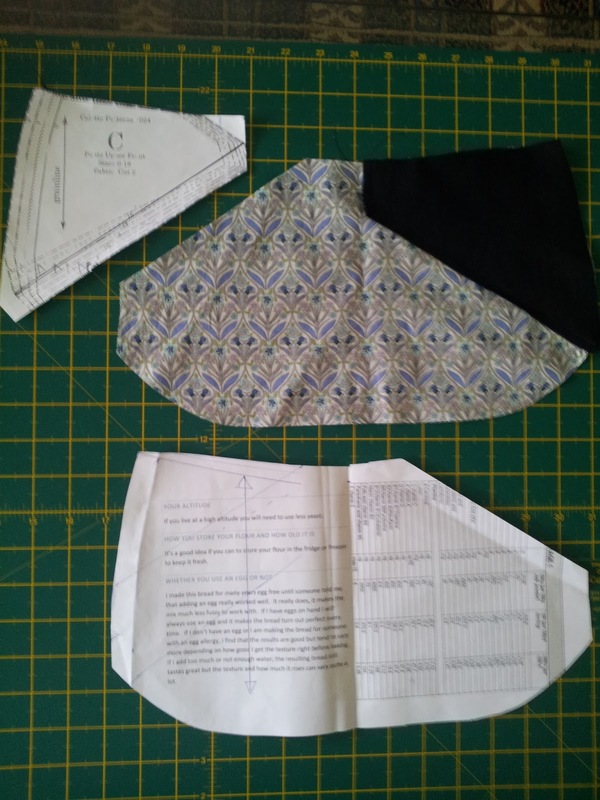 I am going to make a sleeveless blouse/top with the scraps. Its beautiful. It feels divine. 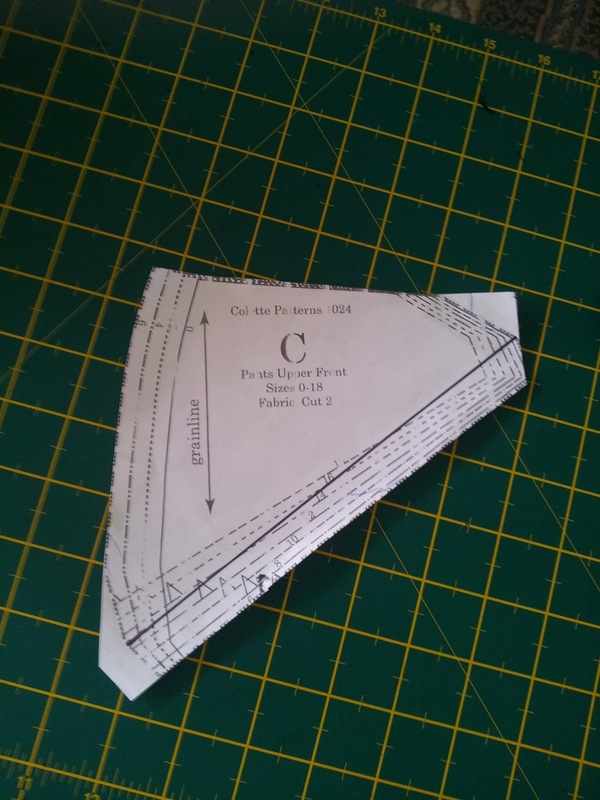 I redrafted the pocket shape by eyeballing my RTW jeans interior and also the Thurlow front pocket tutorial by the lovely Lauren from Lladybird. My only problem I had with the construction was that I would have liked a side seam notch on pattern piece C (the top/under piece of the slash pocket) as, by george, I had a tough time getting the fit/positioning to my satisfaction on that part when I used the original pocket shape. 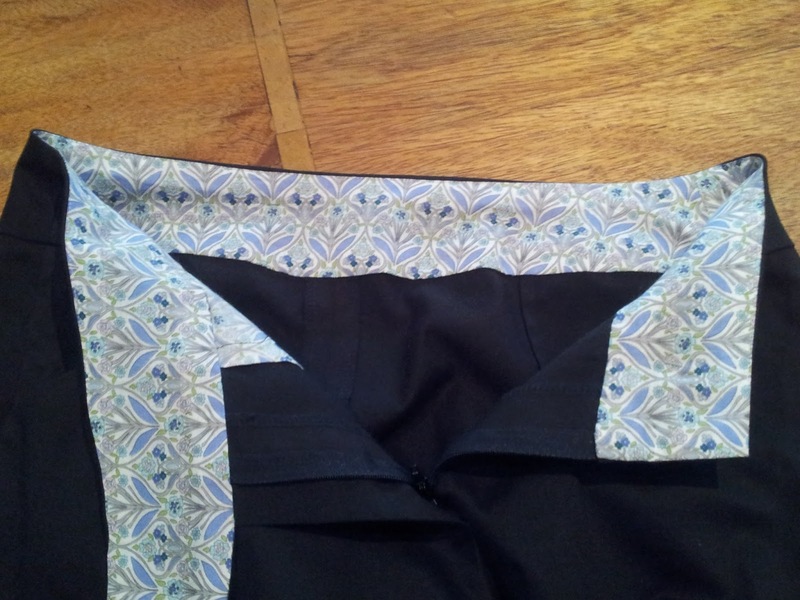 When I changed the pocket shape it became much easier as the pocket gets lined up/sewn into the side seam. This is piece C after I added some bits to it for the new pocket shape. But see, no notches except on the bottom edge which gets attached to pocket lining. 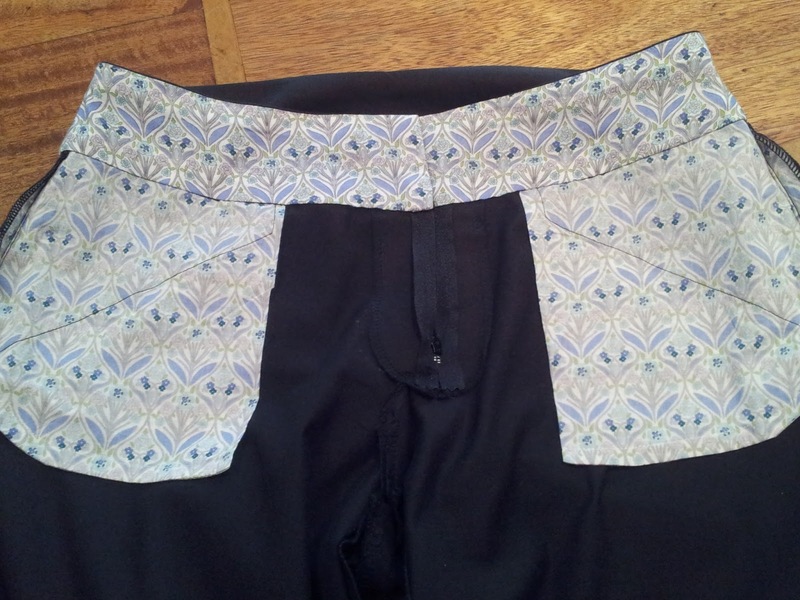 The problem was that the position of this piece was determined by the notches on the pocket pieces, which are helpfully removed as the first step is to finish the pocket seams before sewing them together and even a small misalignment means the top piece C doesn’t sit properly. I found this out in pocket attempt 1 and 2. My inexperience was REALLY showing. The new pocket starting to take shape. french seams and much happier with overall look, inside and out. I also took in the legs as I felt they were too wide and baggy for my 5’4″ / 164 cm frame (aka short legs). This took me a couple of tries before I was happy, although I am still not sure if I did it “correctly”. After googling to not a huge amount of success I ended up tapering the legs from crotch to hem on both the inside and outside leg seam. I am seriously thinking of taking the Craftsy course Pant Fitting Techniques and Pant Construction Techniques next time they come on sale or perhaps getting the Pants for Real People book. The inside is lined in a nice japanese cotton I got for a bargain at Spotlight. pants that I bought somewhere and not “happy home sewing”. So, to sum up. I like the pattern, I will probably make again in a better fabric. 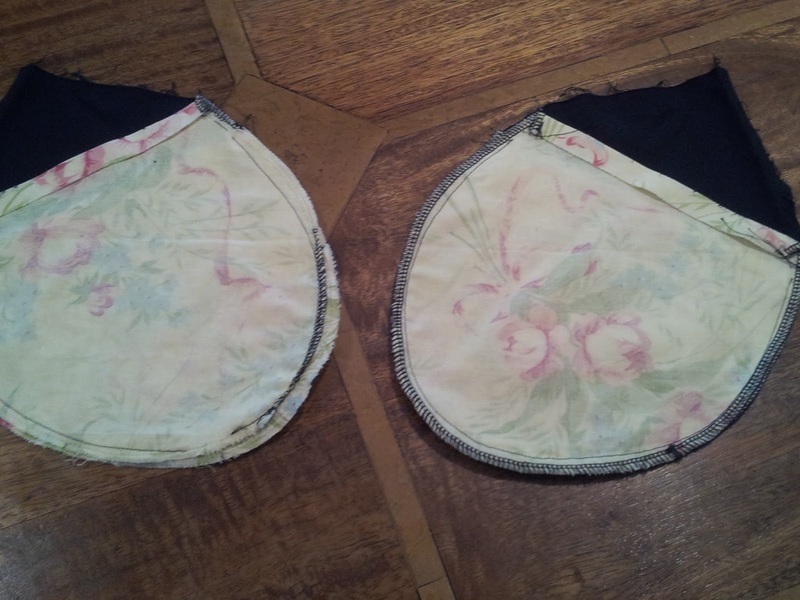 I made the size 6 and they fit perfectly around my waist, hips and only a tiny adjustment to the crotch curve. They also hug my back with no gaping and no need for a sway back adjustment. I made these up in a unexciting basic black cotton sateen with a slight stretch from (wait for it) Spotlight. Next time I think I will use a lovely linen. I learnt alot and spent way more time on these than can really be justified but if I consider it learning then it was time well spent. I have always been terrified to make pants so this is a real accomplishment for me to even think about tackling them, let alone have something (hopefully) wearable at the end of it. 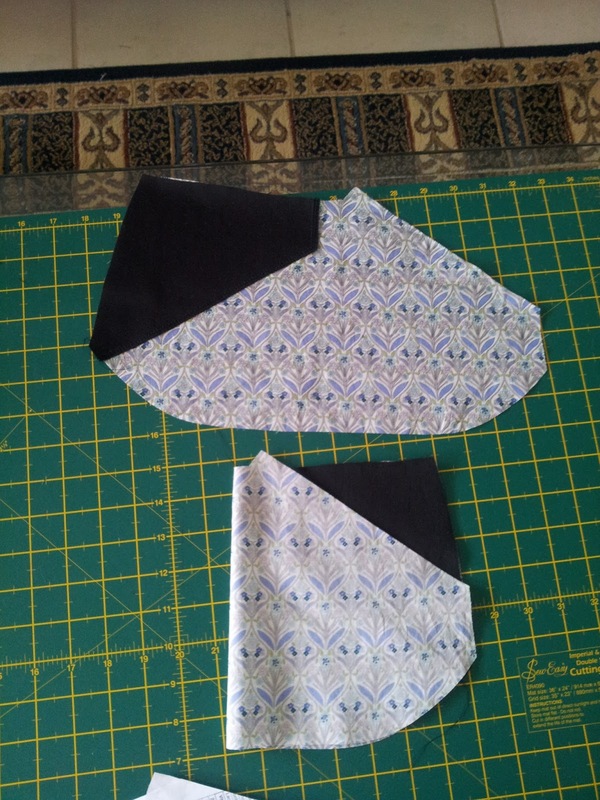 Based on making these and also from silently following along Lauren’s Thurlow Sewalong I have purchased the Thurlow pattern and plan to make them next to compare the two patterns and decide which one will work best for my pear/heavy leg shape. I got mine (plus a Sewaholic Cambie dress) from Sew Squirrel, who sells with free shipping for Australians.